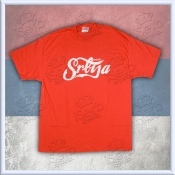 SRBIJA t-shirt with stylized Serbian eagle on the chest the same eagle in a cool surro..
SRBIJA t-shirt with stylized Serbia lettering in Coca-Cola font with a small "Love it" just above..
V-neck SRBIJA t-shirt with stylized "affliction" looking design on the front lef..
V-neck SRBIJA t-shirt with stylized "affliction" looking design on the front left. 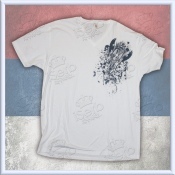 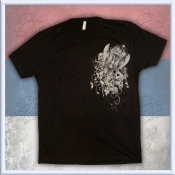 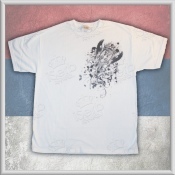 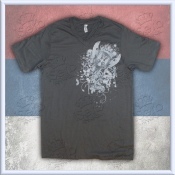 For the ..
SRBIJA t-shirt with stylized "affliction" looking design on the front left. 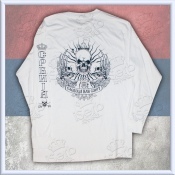 For ..
"Sloboda ili Smrt" ("Freedom or Death") t-shirt with modern design with 3 skulls on the bac..
T-Shirt that every Serbian should have. 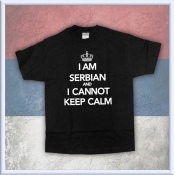 SRBIJA t-shirt with printed I AM..